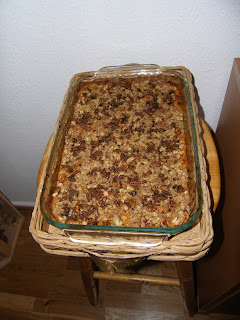 the sweet potato casserole looks great! It's making my mouth water. We didn't have a Thanksgiving due to the loss of Charles, but I'm hoping to make the casserole for Christmas! YUM!